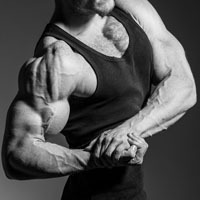 Questions and answers on muscle mass monsters, the cable curl, and lat development. I’ve been a fan of bodybuilding for many years. But over recent years it seems like bodybuilding has become more of a freak show than a display of aesthetically developed muscle. I shudder to think of the damage today’s mass monsters are doing to their health. What do you think? “Mass monsters” is a relative term. Arnold Schwarzenegger, Mike Mentzer and Bertil Fox were mass monsters in their era, but they wouldn’t be by today’s pro standards. Muscle mass training and recuperation have changed, primarily because of enhanced pharmaceutical assistance. As a young man in the 1970s and 1980s, when I was a bodybuilding fanatic, I admired most the aesthetic, non-massive physiques of the time. Frank Zane was my favorite. Relative to the average man, Zane was big, but relative to Mentzer, Fox, and Schwarzenegger, for example, he was modest in size. Although Zane had great potential for bodybuilding, he didn’t have the genetics for mass that most of his competitive peers had. He was successful because of his definition, aesthetics, balance, and presentation. But in today’s world, where mass seems to rule, Zane at his best would probably not even place in an open regional competition because of the impact of today’s bodybuilding drugs. Achieving bodybuilding extremes takes a great toll as the individuals disregard their health. When young and vigorous, and seemingly indestructible, big risks are often taken with little or no consideration for future repercussions. Don’t mess with your health! The older you get, the more you’ll appreciate the importance of good health. For many people it’s only when they no longer have their health that they fully appreciate the value of it. There are many former bodybuilders who messed up their health with drug and training abuse, and paid a heavy price. Past memories of how they used to look matter little, if at all, as they battle with major health problems. If I could give only one piece of advice, to bodybuilders (and non-bodybuilders), it would be this: Look after your health, because it’s your most important possession! Don’t do anything that will undermine your health. Don’t smoke, don’t have more than two alcoholic drinks a day, don’t take recreational drugs, and don’t take performance enhancing drugs. Do eat healthily, exercise regularly and safely, and sleep well. And find work and relationships that make you happy. 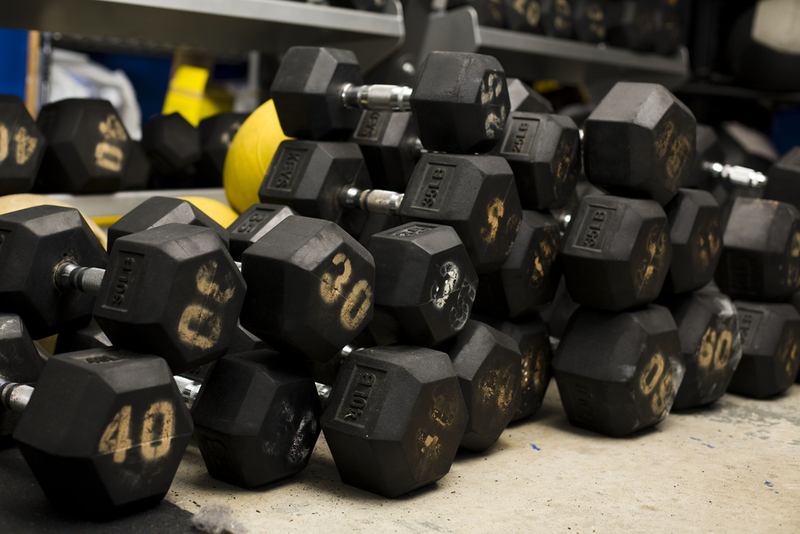 Train for health and physique, not just physique — that’s what real bodybuilding is about. This isn’t an old-fashioned philosophy. It’s a sensible philosophy. Health comes first. You may not believe it now, if you’re young, but you will believe it later on, when you’re not so young. Be the best you can, but without taking any extreme measures. I’ve trained for a few years, but I still don’t have 15-inch arms let alone the 17-inch-plus ones I want. I need to crank up my arm training. Should I do the one-handed cable curl freestyle or on a preacher curl bench? Neither. At your stage, stick to a basic barbell or dumbbell curl (with a supinated grip), and do no other isolation work for your biceps. And if you do chin-ups properly, including with a supinated grip, you don’t need an isolation exercise for your biceps. Rather than overtrain your biceps with multiple exercises, focus your limited time and energy on the big exercises that really can make a big difference to your bodybuilding. To build much bigger arms, you need to build a much bigger overall physique. That I’m asked more questions about biceps exercises than I am about squats, deadlifts, dips and chin-ups combined is an indication of the misplaced priorities among most bodybuilders. If you straighten out your priorities, and train properly, not only will you make better progress on your thighs, back, shoulders and chest, but your arms will progress better, too. Can I develop terrific lats in a home gym with just basic equipment, or do I need to use a big, commercial gym with lots of machinery? Training in a small home gym — assuming that you have the minimum of free-weights, squat stands or a power rack, a bench, an overhead bar for chin-ups and pull-ups, and parallel bars for dips — can do a terrific job provided you train and recuperate properly, for long enough. Even if you were to train at the best-equipped bodybuilding gym in the world, if you don’t use the equipment properly in the context of routines that are appropriate for you, you won’t realize your potential in any body part. Working out in a basics-only gym may make it easier to keep your training simple, brief and hard because there are far fewer distractions and temptations there than in a super-well-equipped gym.